Tanzania’s popular songbird Vanessa Mdee of the Nobody But Me fame featuring South Africa’s K.O is without a doubt a breath taking beauty and by the look of things, she is about to dethrone the likes of Yemi Alade and Tiwa savage. 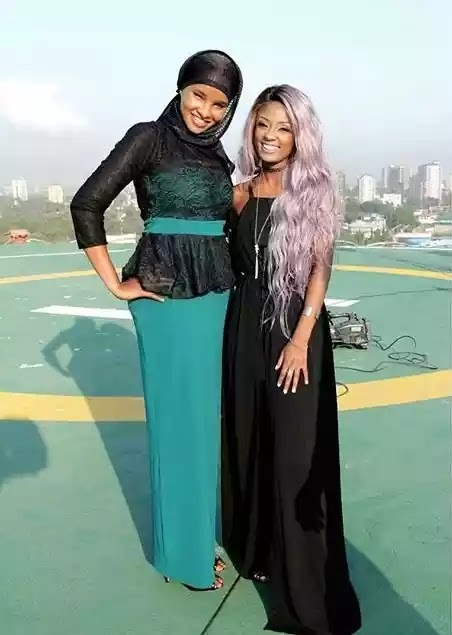 She was interviewed by the gorgeous Nipashe news anchor lulu Hassan and it seems the two got along pretty well. Here is what Vanessa Mdee had to say about Lulu Hassan.